*This post is sponsored by Basic Invite. Thank you for supporting the brands that support Lindsay’s Sweet World. Anyway, that was 2011 and there was a huge baby boom in my world then. Well, 2018 is proving to be just as big as 2011 for us, if not bigger! So many people we know have announced pregnancies during these last few months, and I’m very excited to announce that my brother and sister-in-law are one of them! And we found out yesterday that they are having a girl!!!! Yes, I’m going to be an aunt again and I am so grateful that they are now living a mere two hours away instead of twenty hours away as they were when my nephew was born. Because they were so far away the first time, I didn’t get to see my nephew in person until he was six months old and, sadly, I missed out on those newborn baby snuggles. You can bet I’ll be seeing this new little babe the minute that she comes into this world and I am beyond thrilled that I will be able to enjoy her while she is so fresh and new. 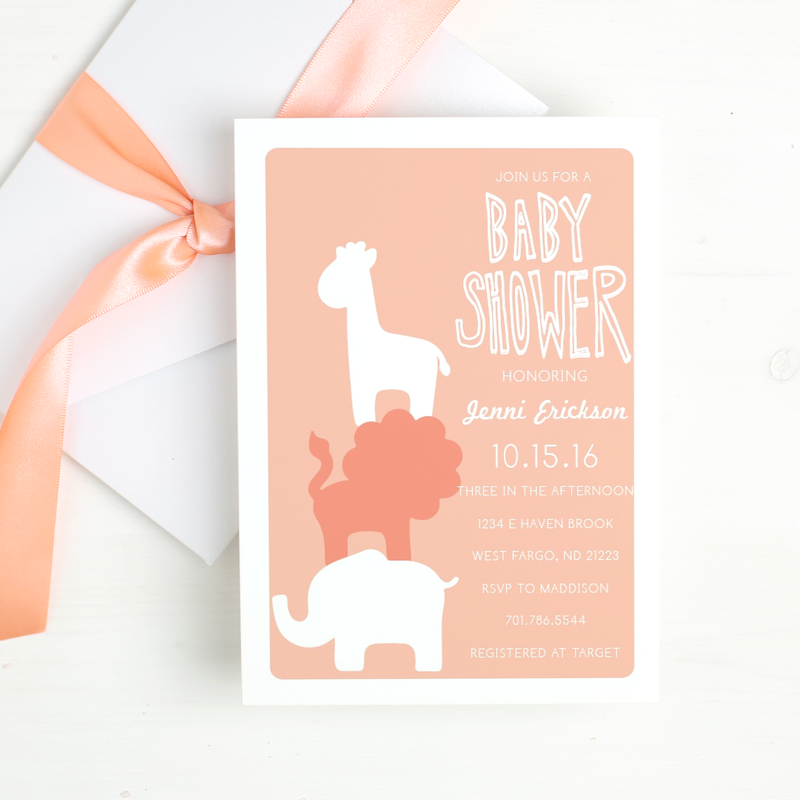 With lots of new births on the horizon, there will be many opportunities to host and attend baby showers (remember the last baby shower I hosted? 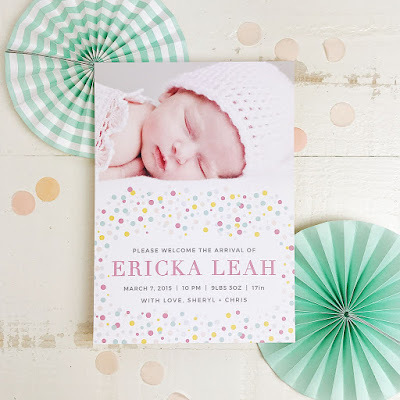 ), and Basic Invite is a great place to find beautiful invitations. What sets them apart from the rest is that they are one of the few websites that allows customers almost unlimited colors, and they are also one of the few websites that allows customers the ability to order a printed sample before they place their final order. They also have over 40 different colors of envelopes (you guys know how I love color! ), and many of their cards come in gorgeous foil options. Foil is always my favorite! As if that wasn’t enough, they also offer an address capturing service that allows you to share a link on any social media platform to request your friends’ and families’ addresses. Those addresses will then be stored in your account and they can be used during the design process. Recipient address printing is FREE for all Christmas card orders. Where oh where has this been all my life?! This would save me hours during the Christmas season! 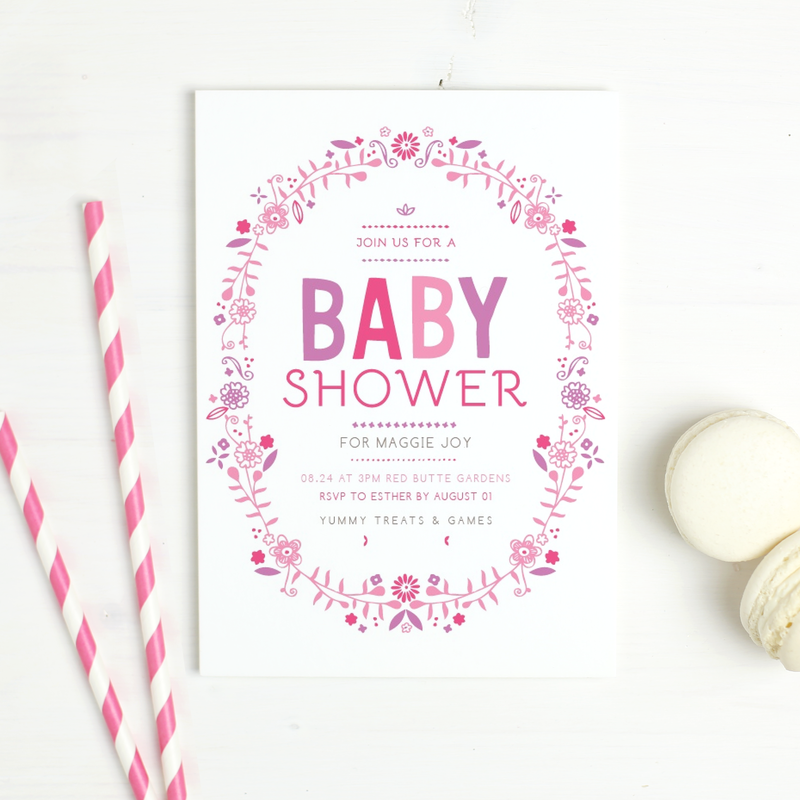 They have loads of invitations for a baby shower – they have a gorgeous selection for baby girl themed showers, baby boy themed showers, and even gender neutral themed showers. 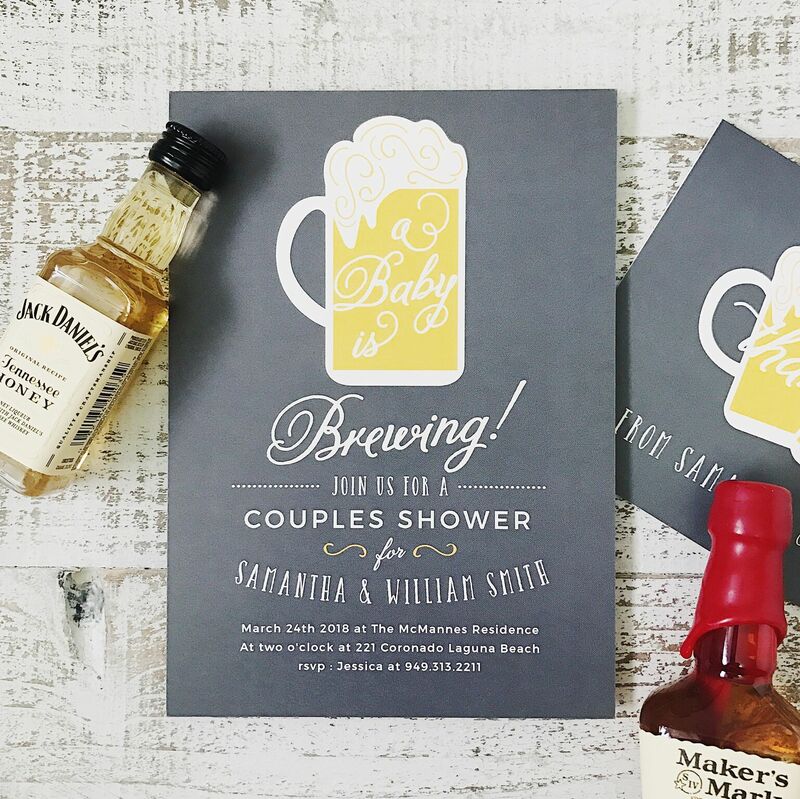 How adorable is the brewing invitation below?! I totally guessed the gender correctly for my brother and sister-in-law and I'm so excited to have an excuse to buy more precious pink things! 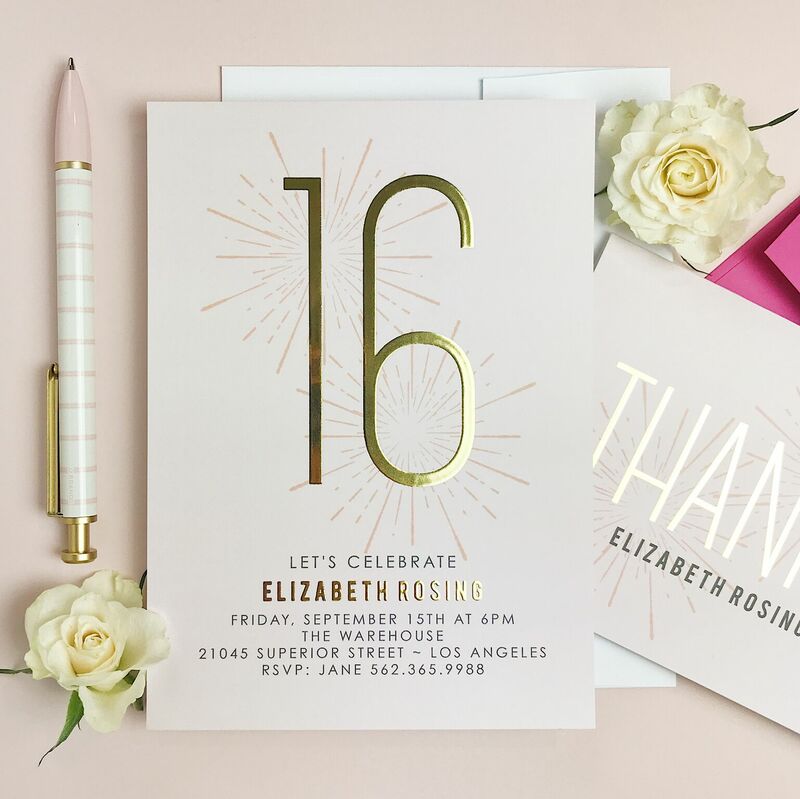 How beautiful is this selection of pink and gold princess baby shower invitations? Y’all know that pink and gold has my heart… remember Olivia’s first birthday party? Be sure to check out Basic Invite the next time you’re planning a baby shower! They also offer cards for plenty of other events and celebrations – baby announcements, graduations, birthday parties, holidays, and more! 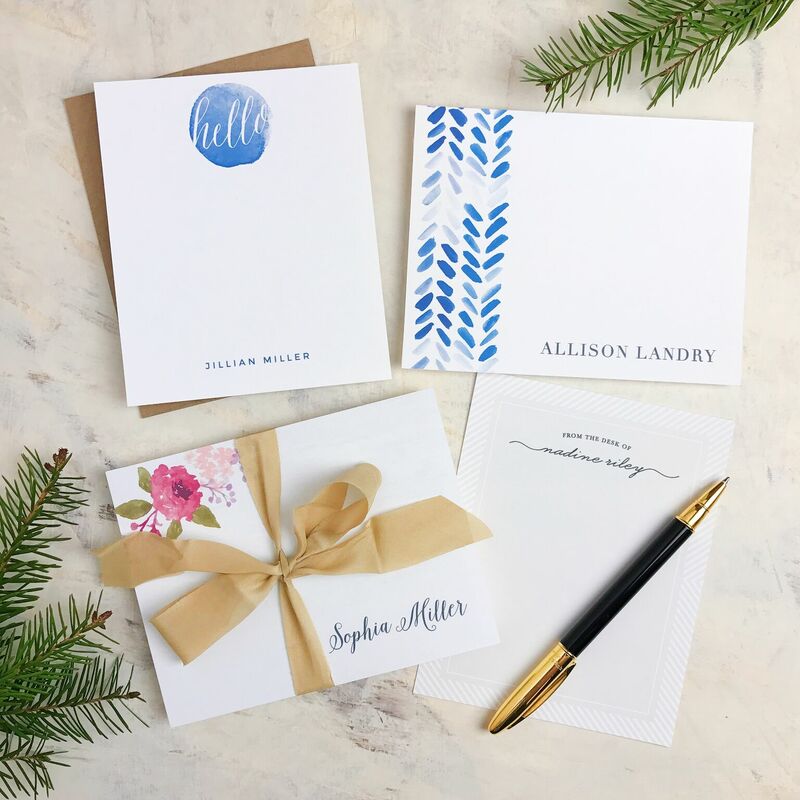 And if you're not in the market for any specific type of cards, they also have a gorgeous line of stationery! Right now they are offering 15% off with the coupon code 15FF51 so go ahead and make your purchase now if there’s something you have your eye on! And before I go, I would be remiss if I didn't mention all of the ladies we know who have been struggling with infertility these last few years. There are currently nine ladies who I pray for daily. Nine ladies who long to carry babies in their bellies and plan their own baby showers. Nine ladies who long to cradle their own babies in their arms. Nine. It breaks my heart that there are so many. I would love if all of you would keep them in your prayers, too. Crazy pregnancy total! I have posted for Basic invite before and I love how clean and classy the invites are. Um that is crazy you knew that many other people who were pregnant the same time as you!!!!!! And I've never heard of Basic Invite but love their stuff!!! WOW! That's a lot of pregnant ladies! I love how you remembered all those numbers! Oh my gosh - and another baby - a girl! How wonderful! My sister just had a baby 7 weeks ago and I just love, love, love holding her! I rocked her to sleep on Sunday and I kid you not, I could feel my soul smiling!!! Congrats, Lindsay! I can't believe you knew that many people pregnant the same time as you! That has the be a record! So exciting for another girl in the family! Basic Invite has so many great invites and thank you cards! Gosh that was like some sort of 'pregnancy pod' or something - 42?!! 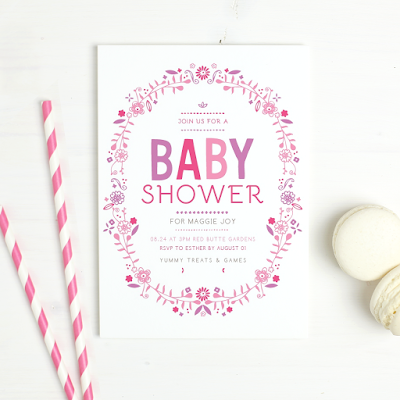 You are of course the perfect person to organise a shower (or any birthday) - the moms to be are lucky if they get you :) The stationary is all really lovely - baby showers are only JUST taking off here and I am so glad they are, as a ton of fun! 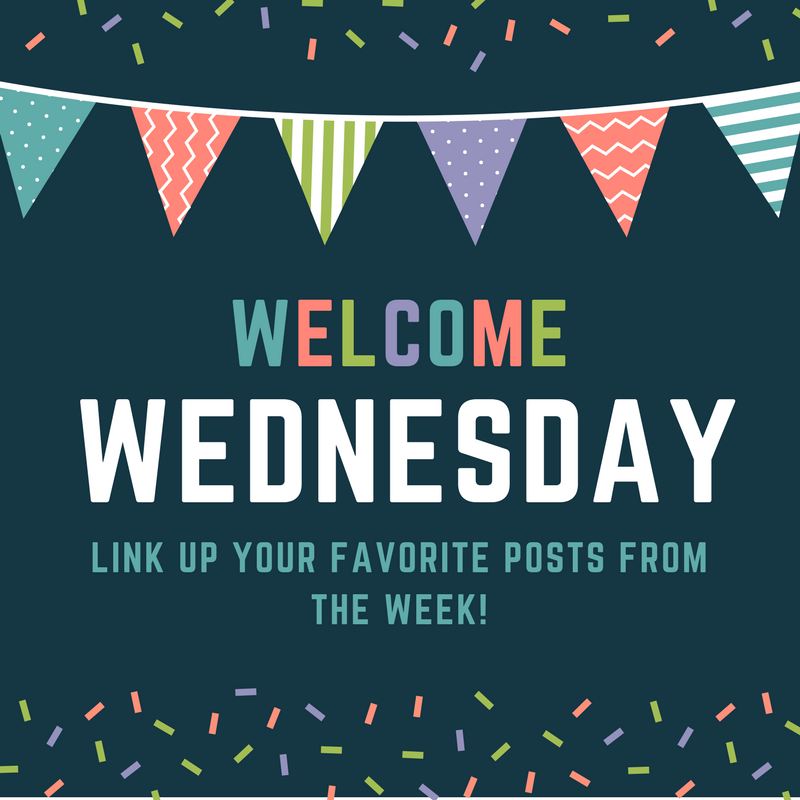 Thanks for the link up! I have to echo everybody's amazement that you knew so many pregnant at the same time as you! What?! 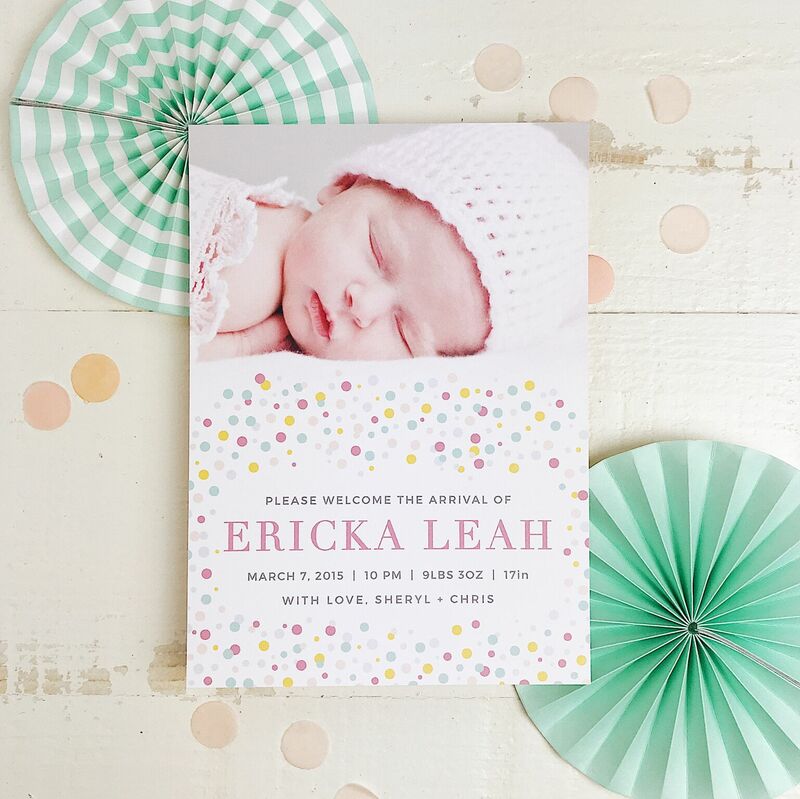 Love these sweet invites, they are gorgeous! Oh man I'm such a sucker for all things invites and stationary! Love it! Love the invites. I can't believe that many people were pregnant when you were!! !